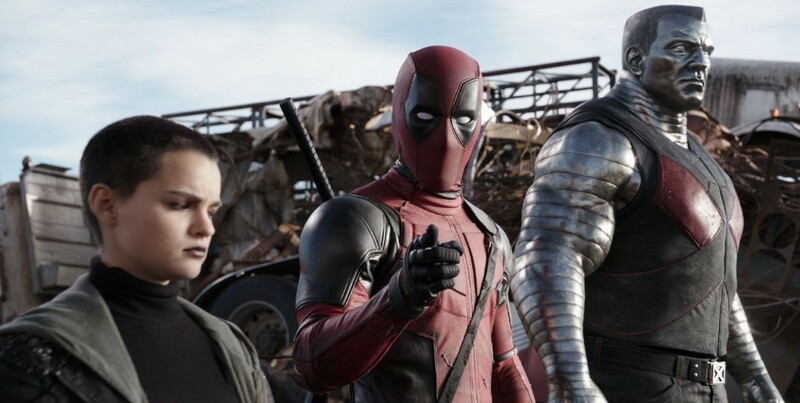 The route of the anti superhero movie played out by an anarchist anti-hero is a smart one to follow, and Deadpool delightfully loosens the harnesses of the tropes as well as the plot points we have come to expect in the genre. I say loosen because, as you’ll see, this comic adaptation wants to subvert clichés while still sticking to the recipe. To follow the formula while adding a different garnish and serving it with an unseen flair. There hasn’t really been a movie like this one before; a very hard R rating, fourth wall breaks, high body counts, earned romance. And still it succeeds, in spite of its own attempts to be so daringly different that we actually foresee what’s to come. Deadpool might be another origin story, but at least it’s bold enough and cares enough to regift its package with a shiny red bow. Inside is a defibrillator, and it’ll shock you out of your DC/Marvel coma. Once a highly decorated Special Forces operative, Wade Wilson (Ryan Reynolds) now lives as a mercenary for hire. Known as the “Merc with a Mouth,” Wade fast talks his way in and out of just about any situation. Charming while sleazy, likable yet combative. He’s coasting along in life and spends his evenings getting liquored up at the local bar run by his buddy Weasel (T.J. Miller). Then one night, as Good Will Hunting might say, “In walks this girl…” She’s Vanessa (Morena Baccarin), the Helen of Troy of escorts, and she matches Wade’s deviant banter beat for beat. Deadpool’s focus certainly falls on Wilson, yet it isn’t dopey enough to become shortsighted. Vanessa is a strong woman, carefully written, performed with susceptibility and backbone by Baccarin. Oftentimes the romantic relationship counterpart becomes more of an expendable sexual conquest rather than a part of the film’s skeleton. Not here though. Deadpool’s accomplishments as a film largely fall back on the chemistry between Reynolds and Baccarin. Their conversations are snappy, clever, and usually hilarious. Even when the dramatic bend comes, forcing Wade to make the decision that leads to becoming Deadpool, the story itself never breaks. That’s where the villain Ajax (Ed Skrein) makes his grand entrance. Sure, he’s not that ominous or threatening, but he has enough screen time to justify a worthwhile showdown with little motive. My only real issues with Tim Miller’s directorial debut comes down to two things. First, the inclusion of minor X-Men characters works well towards the final act, but initially comes out of left field, as if there’s some history between them and the lead that goes glossed over. Second is the structure of the narrative. Miller opens with an amazing set piece on a bridge then cuts back and forth between the action and the events that led to that exact moment. It finishes after an hour with Deadpool saying, “there, all caught up.” I get that the movie wants to be as unique as the character; it just doesn’t do anything to better the overall scope. With failed attempts in the superhero genre ala Green Lantern and even as this same character in X-Men Origins: Wolverine, it’s clear that this was a passion project for Reynolds. Finally, after so many years of box office blunders and misplaced hate from critics, he has found the road to El Dorado. What a match for the actor in a tailor-made role. He’s been on a hot streak of late, starring in the uneven but chilling The Voices and going for broke in the great gambling road movie Mississippi Grind. Reynolds has always pushed his limits, although far from what he has to master here. It’s a major risk to hide that face behind either hideous prosthetics or a mask. Because of that, his voice work managing inflection and pitch, as well as his physical performance, have to be spot on. And he absolutely nails it. I’m not sure how the film will hold up over time. Or that it can at all. That doesn’t matter though. 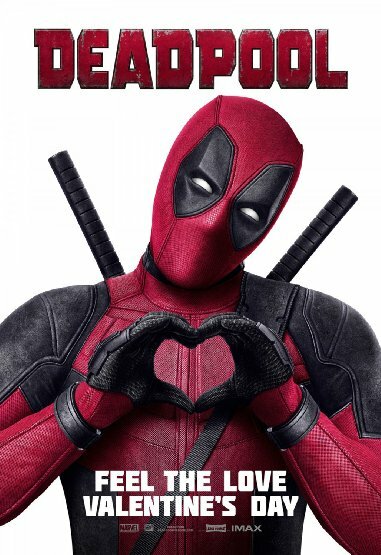 Deadpool is here, spiking the tasteless comic book punch with acidity, twisted humor, and a whole lot of spirit.